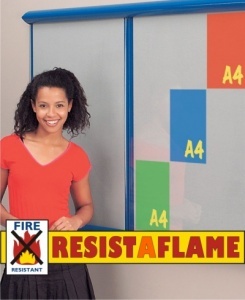 Resist-A-Flame is a range of wall mounted aluminium framed fire-retardant noticeboards. Resist-A-Flame is a market leading range of fire retardant noticeboards fully constructed and tested to meet the latest building and fire regulations. Ideal for use in public buildings and commercial applications. The Fully assembled board is certified to BS EN 13501. Available in a choice of 8 frame sizes and 11 woven cloth colours. The simplest of the Shield covered noticeboards, with individual lift off acrylic covers. 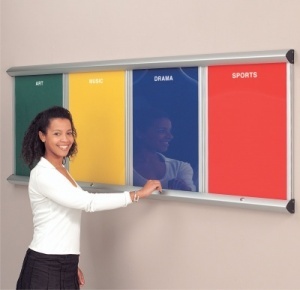 A slim noticeboard available in either single or multibanked systems of two, three or four panels; each with separate lockable covers. Each panel has been designed to accommodate a set number of A4 sheets of paper; four, nine or twelve. 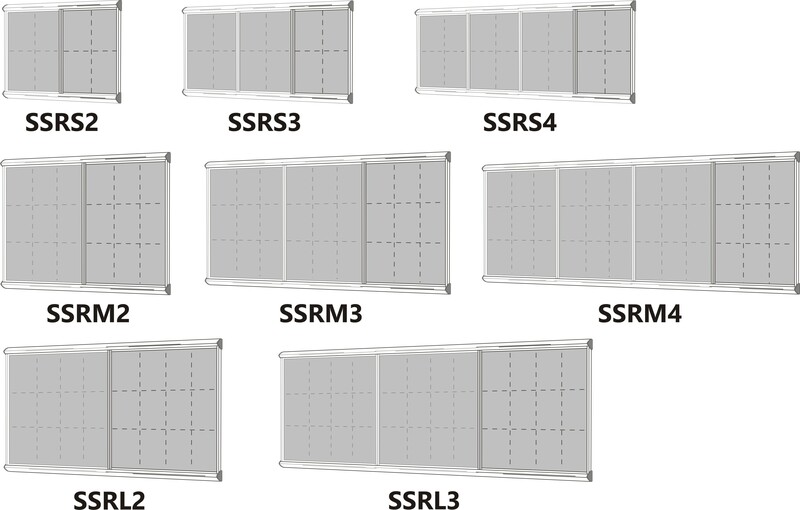 Larger sheets such as A3 or A2, or a mix of sizes can be displayed very effectively. Multi colour multi bank units are ideal for separating displays by department, function, event or school house. 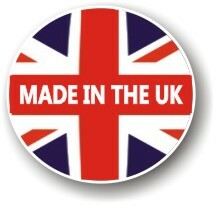 All Showline modules are supplied ready assembled for immediate installation. Available in a choice of 8 sizes this deluxe Tamperproof Noticeboard Showcase with separated pinnable areas that can be specified with individual colours. 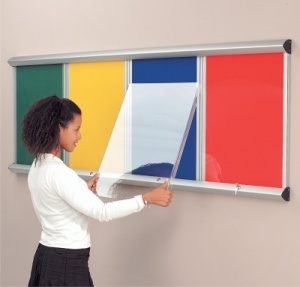 Choose from four frame finishes which are complimented with a wide range of noticeboard colours. Should you wish to purchase a multi-coloured unit, please use the selection box to specify which colours are required and in which order you would like them to appear.